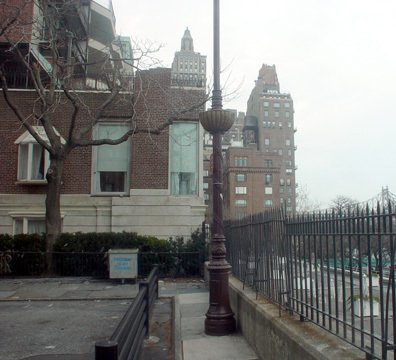 This distinguished apartment building at 450 East 52nd Street is directly across from River House (see The City Review article) at the end of this dead-end street overlooking the East River. The 14-story, brown-brick building is a cooperative and has only 16 apartments, a doorman and a pool. The pre-war building has no canopy and no sidewalk landscaping. This is is an attractive block with many pre-war apartment buildings on the south side and considerable "light and air" because several buildings on the north side are set back in plazas or driveways. The building has superb views of the East River with some balconies and bay windows on its eastern façade, but no garage. "...complemented the squat massing of Beekman Terrace with a soaring shaft that rose from a landing stage at the river's edge. 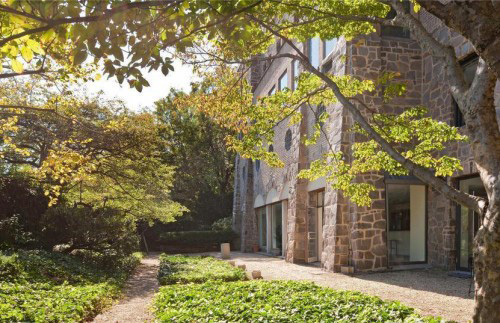 Turning a blank wall toward the city, where future structures might block it slight, the Campanile was oriented toward the East River where its situation at the edge of a bluff permitted the development of riverfront garden apartments below the street as well as a private boat landing on the rivers edge." Other buildings soon followed such as the adjoining 444 East 52nd Street (see The City Review article). 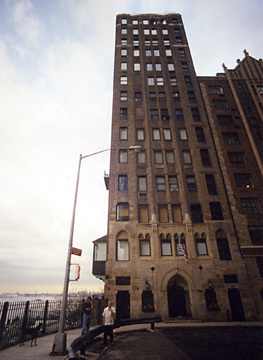 The construction of the East River Drive in between 1938 and 1941 cut off the river views of the lower floors of this building, but it does have a large garden apartment. It is in the Beekman Place-Sutton Place area that has numerous restaurants and good neighborhood shopping. There is cross-town bus service on 49th and 50th Streets, but subways are several blocks away as are several small parks.